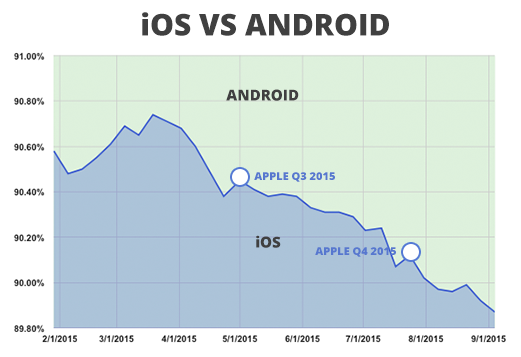 Continuing its downward trend over the last two quarters, Apple lost 0.05 percent to Android in net mobile devices this past week. Apple’s upcoming press event, scheduled for September 9, is expected to include debuts for an iPad Pro and iPad Mini 4. The iPad Pro is said to be a MacBook-sized tablet geared toward enterprise use.